With the increasing popularity of cosmetic dentistry, finding a cosmetic dentist in Bellmore can be daunting, but with proper guidance, you will surely select the right one. There are a number of considerations when you want to go for a cosmetic dental procedure. Your oral health problem and the condition of your gums and the bone structure supporting your teeth are important considerations. You may want the cosmetic procedures for restorative or aesthetic purposes, but whatever your purpose is, a cosmetic dentist in Bellmore can better help you understand if you really need the procedure and what options are worth considering. Since choosing a cosmetic dentist is crucial, you it is best to begin your search from referrals and recommendations of trusted individuals. If you have a general dentist and have noticed your need for dental cosmetics, then his or her referral to the cosmetic indentist Bellmore is very much important. Your dentist has known your dental health history and has evaluated your condition. If the your current oral health status needs further evaluation and or specialize treatments, you will be referred to professionals or specialists just like cosmetic dentist, periodontist, orthodontist, etc. You can also ask your friends, neighbors and co-workers to recommend you a cosmetic dentist Bellmore whom they know can best handle your situation. They may have been into the same situation and their opinion as to the kind of dentist you should look for also can help you a lot. If you already have a lot of prospect dentist to ask for help and attend to your cosmetic dentistry service needs, you may be confused on who to choose. Recommendations from different people may even confuse you but is it better to have a lot of options so you can really choose the best cosmetic in dentist Bellmore. You may begin narrowing your search out of the list that you have. The level of experience the dentist has in the field of cosmetic dentistry is very important and this is along with his trainings and continuing education. The dental cosmetic is not just an easy thing; and the dentist’s lack of skills will fail the expected outcome. The number of years the cosmetic dentist Bellmore has been in practice also matters in making your decision. You can ask for photos of the before and after situations of the patients who have received dental cosmetic procedures. There is also a need for you to check on how the dentist uses the latest technology in cosmetic dentistry. 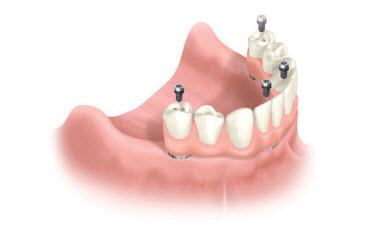 He must use imaging and computer aided technology in making teeth impressions and in showing you an overview of how you will look like after the procedure. The dentist of your choice must also be able to explain to you what are the preparations, tests and other necessities prior to the procedure. You will also be presented with different options you may choose from as well as the pros and cons of each choice. A cosmetic dentist Bellmore is friendly and responsive to your needs and inquiries and will assure you of top quality services.